If you’re learning French, congrats! I know what a process it is! Maybe you’re at the point where you want to sound a little more natural. 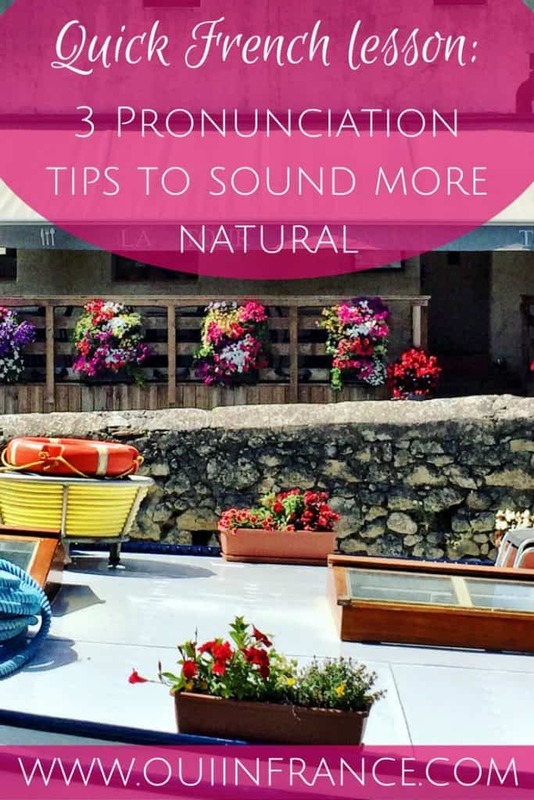 I’m sharing 3 of my pronunciation tips with you today… things I didn’t really know until Tom pointed them out. I used to make a bunch of pronunciation mistakes (I’m sure I still do) and have come a long way. Sometimes you just don’t know that what you’re saying is wrong until someone tells you. I used to pronounce the “c” in tabac until Tom (my French husband in case you’re new here) finally realized after a year that I wasn’t joking around and realized I actually thought the “c” was pronounced. Oh man. For the record, it’s tah-bah. The other day Tom told me that growing up, his English teachers in school never told him that in English you actually say the “h” in most words like hotel and hot and hi. His teachers never pronounced the “h” sound (so hi was eye and hot was ot, etc.). It was something he was never told and he had assumed that the”h” was pronounced like it is in French — silent. Not so! Little tips go a long way, so I’m sharing 3 that have helped me. I recorded an audio clip where I explain my tips. 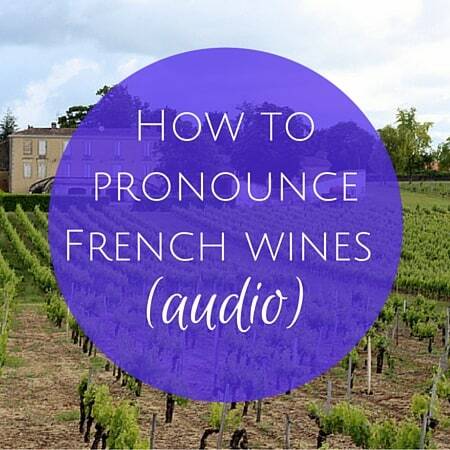 It was off the cuff and unscripted but feel like audio is so helpful when learning about French pronunciation, so let me know if you like this sort of thing and maybe I’ll do more! As I said in the recording, there’s no shame in having an accent so you do you, OK? 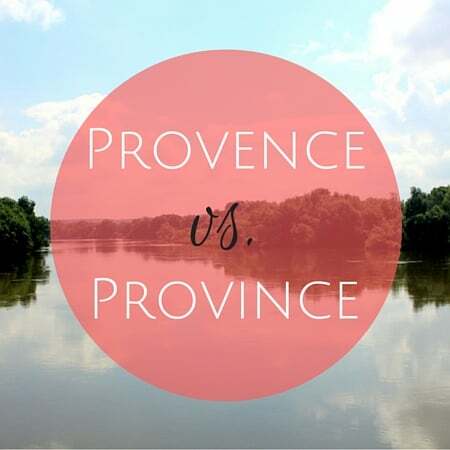 Some people live in France for years and get by just fine with a heavy accent. To each his/her own! If you do want to improve your pronunciation for whatever reason, have a listen! I also mention that I’m not a teacher and my tips are purely anecdotal. Jus and joue aren’t the same “u” sound. Here’s a YouTube video I made on the French “u”. The French “L” is different than the English”L.” The tongue placement is different! Keep them short and crisp! 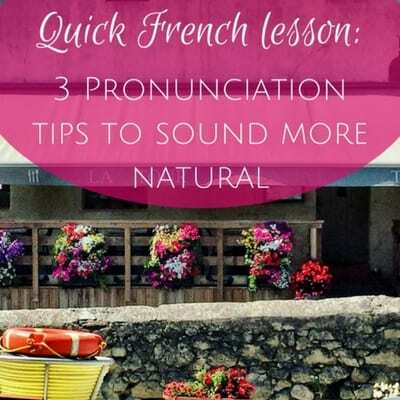 Did you find my French pronunciation tips helpful? Such practical and useful tips! Numbers 2 and 3 had never occurred to me before but they are noticeably different in French and English. 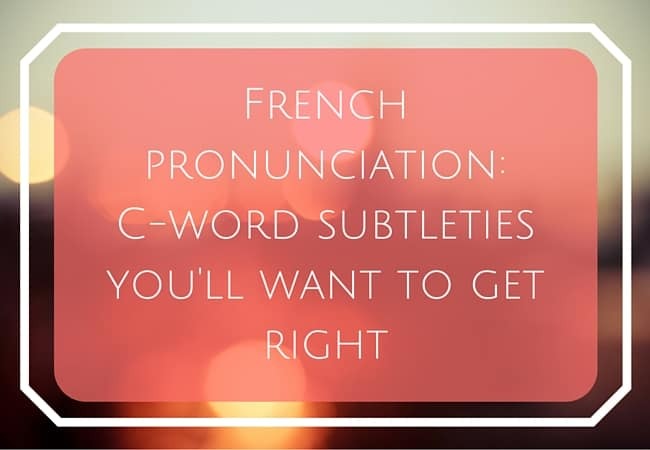 One lesson I learnt fairly late in my French studies is that sometimes the French ‘s’ is pronounced ‘z’, whereas we’d say it like an ‘s’ in English, e.g. Joseph, le désir. I believe it’s when it’s between two vowels, although I may be mistaken? The story about your husband not learning about pronouncing ‘h’ is so funny – how could have his teachers thought ‘hi’ was ‘eye’?! It’s like they’d never talked to a native English speaker because that’s a pretty common one haha. Although I don’t mean to judge as I’ve made my fair share of mistakes over time! Merci, Tess! I’m not one for remembering rules but usually the single “s” when in a word like observer is pronounced more like a “z” and the double “ss” is more like an s sound, so assez (enough) or asseoir (sit), etc. He’s still laughing about his “h” mistakes from before he met me! The double ‘ss’ is always an s sound, yes. Hi PL, welcome! Happy to have you here! Yes, I’m not a big fan of rules but yes, as I said, the s in observer is like a z (single s) and double ss’s like in assister generally are pronounced like an s.
With an accent, you can get away with almost anything! 🙂 thank u for the link! This post is so useful Diane and a timely reminder for me….I’ve recently been pulled up on my vowel pronounciation! ‘Il y a’ could do with some improvement as I say it somewhere between your high school and current pronounciation. I made that same mistake about ‘tabac’ and only realised about two years ago, it was also pointed out to me a few years back by a bar proprietor that one did not pronounce the P in ‘sirop’ . Doh! Oh yes, learning is of the utmost importance, just better when it happens sooner rather than later and you don’t walk around sounding like a dummy for years (me!). Hahah. Happy to help. So glad people are finding my tips useful. In Tom’s case, he was mad he wasn’t taught the sound correctly! I figured the lack of H was just his accent but nope! He (and presumably all French people) can say the H perfectly; it’s just that he didn’t know he had to pronounce the letter! Yup, sirop is another one where you don’t say the final consonant sound! I find ANY tips-at least good ones like these-to be very helpful! Thanks! Thanks for the audio coaching! I also did not know the ‘c’ was silent in tabac. And I’m sure there is a ton more I don’t know. So yes, I enjoy the audio posts so keep them coming! You’re very welcome, Amelia. Thanks for taking the time to listen! This post was really fun! It is great to hear your voice after reading your posts for so long. And I laughed out loud at how some of those things may have sounded in high school Frech class. It made me think of a radio station disc jockey who was on in Paris when I was a student there (in 1986!). He came on at 10pm Paris time and his name was “Lee de Californie.” (Obviously, an American from California.) He spoke French just like that French class student. He did not even try to use a French accent or pronounciation techniques. Actually, it was easier for me understand him than most of the real French people that I encountered on the street. So thanks for the fun blog post and the fun memory. I wonder whatever happened to Lee de Californie? So happy you liked it, Jennifer! Check out my YouTube Channel (linked in social menu at top of page or in sidebar) for more of my voice. The French r tutorial is pretty popular. Unlike you, I find people with heavy accents more difficult to understand in French. Lee de Californie sounds like George Eddy, a really fun American sports commentator with a very heavy American accent (but speaks just like a French person would). I love him but I really have to listen! I love reading your blog and all your language tips. I find it really helpful that you share your thoughts and insights from a combined American-French perspective. I travel to different parts of France from the US with some frequency, and I prefer to try to blend in with the language and culture as much as possible. 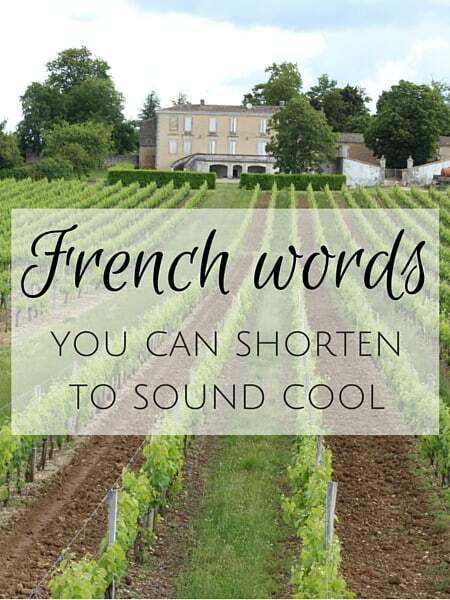 Since strangers I may meet while in France are unlikely to correct me, I appreciate any tips you can share that help Americans communicate and interact more successfully in France! Thank you, Laura! Comments like yours really mean a lot because I never know who is out there and if people like something or not. Blogging can be a solitary journey so again thank you for taking the time to comment! Thanks so much for the tips! I am learning French and every tip helps. My husband and I are taking an immersion class in Sancerre the first two weeks in December. I’m hoping that will take me to the next level!